SA AUDITIONS TO PLAY WHITNEY HOUSTON! Showtime Australia is conducting a world-wide search for the ultimate Whitney Houston impersonator for a new tribute show called The Greatest Love of All…and guess what? Nationwide auditions will be held in South Africa as well during the month of October this year. Auditions will be held in South Africa to try and find the ultimate Whitney Houston impersonator. 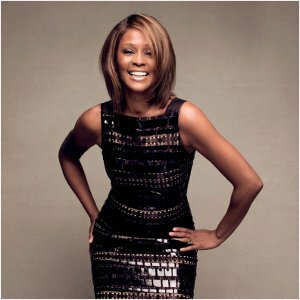 A singer with a superb voice is being sought to take the lead role as singing legend Whitney Houston. Auditions in Johannesburg will take place at the Joburg Theatre in Braamfontein on 3 October at 13h00; in Cape Town at the Artscape Theatre on 5 October at 13h00 and in Durban at the Sibaya Casino on 7 October at 13h00. Each artist interested in auditioning must send their CV, a current headshot and an audio demo to sales@showtime.net.au by no later than October 1, 2012. Artists accepted into the audition will be notified via e-mail with an audition time. Required is a performance of a Whitney song and one must bring their own backing CD. Showtime Australia has produced some of the world’s top tribute shows including Queen – It’s a Kinda Magic. Showtime Australia will also present the Michael Jackson HIStory II Show at Artscape from 10 to 28 October 2012, followed by a season in Johannesburg in January 2013.